The history of linen goes back thousands of years to Egypt where it was used to make clothes that kept its wearers cool and fresh in warm weather. Throughout history its light weight and crisp look made it both practical and attractive. 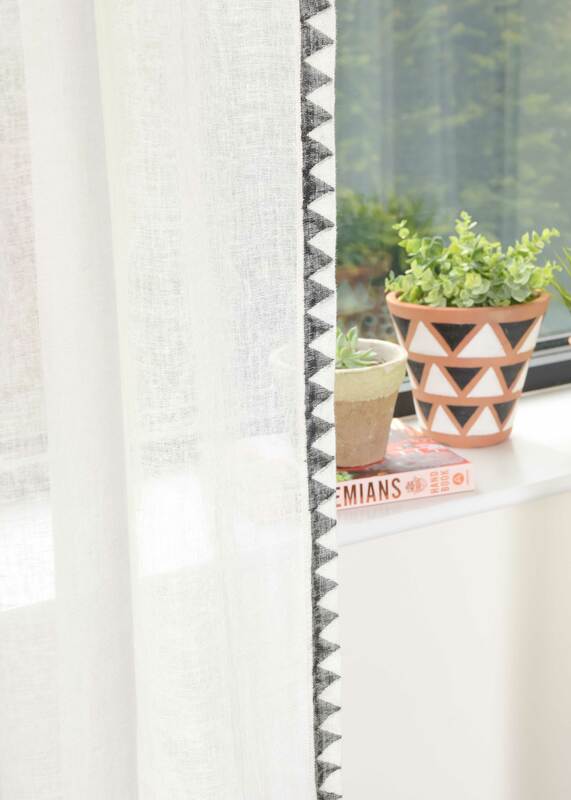 In keeping with that tradition, BHF is pleased to introduce its Brittany Linen Curtain Collection. 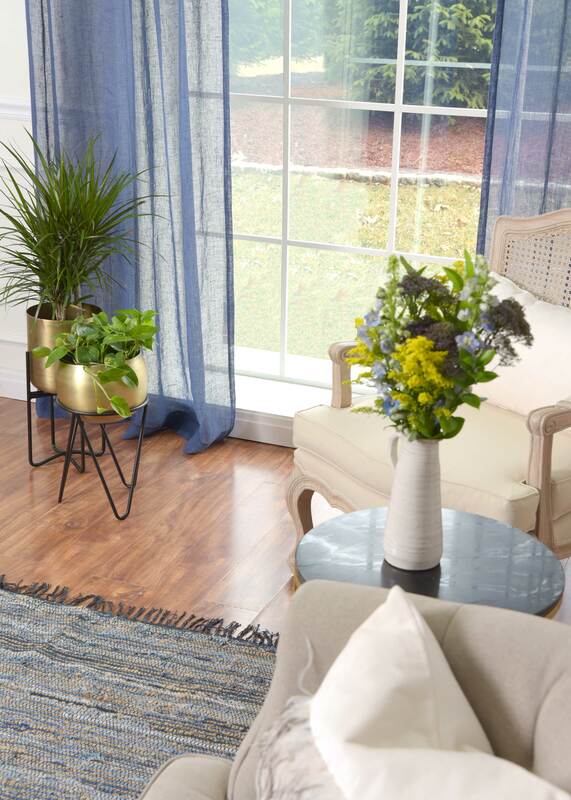 These beautifully crafted curtains are made from 100% European flax and enzyme washed to achieve a soft texture and lived-in look. 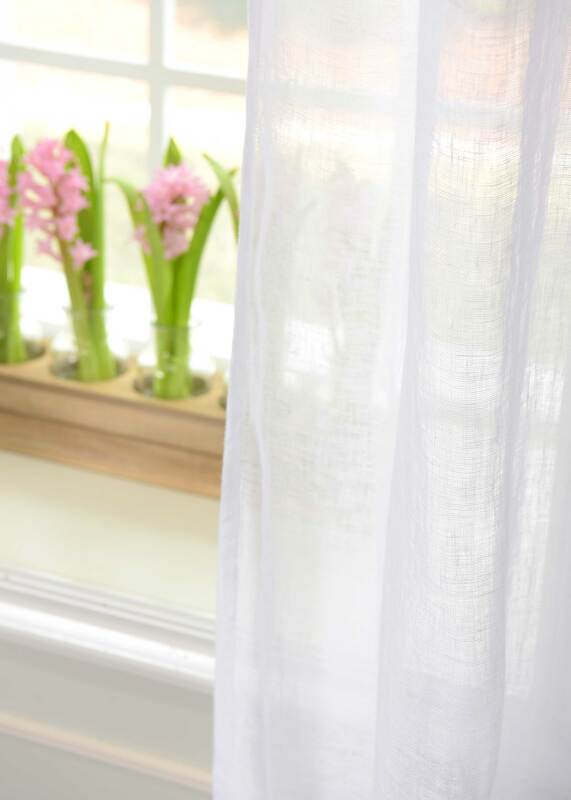 Light and fresh, these linen curtains bring subtle texture and elegance to any living space. 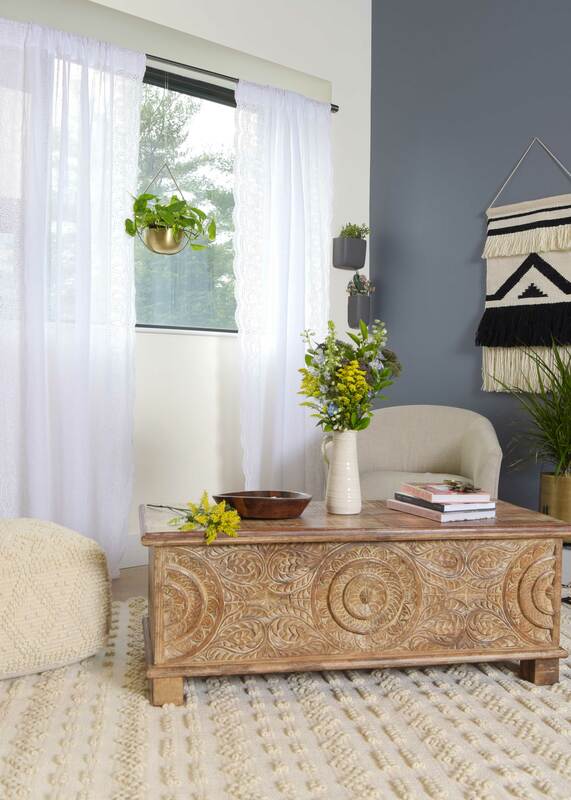 Their versatility allows them to be equally at home among the floral prints and distressed furniture in a country cottage, the natural materials and simple design of a modern setting, or the antique accents and patterned rugs of a classically decorated space. 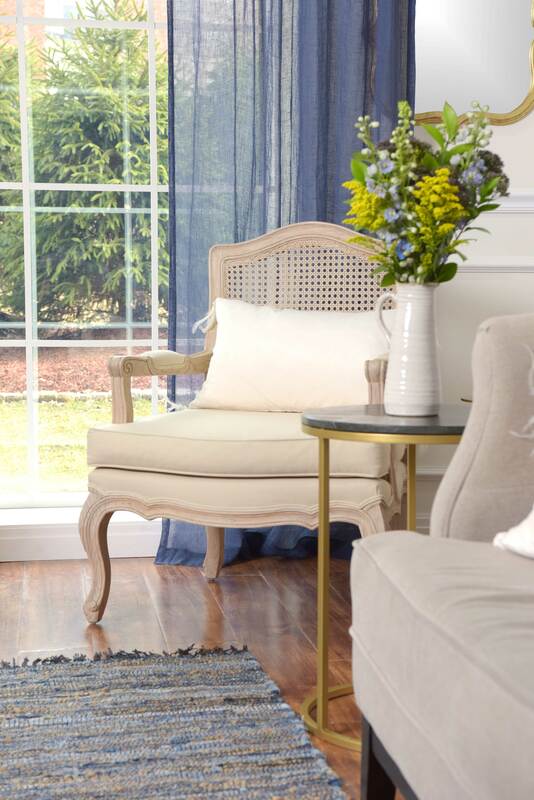 If you are looking to create a delicate, romantic ambiance, nothing works as well as our Brittany Linen Romantic Tie Top Curtains. 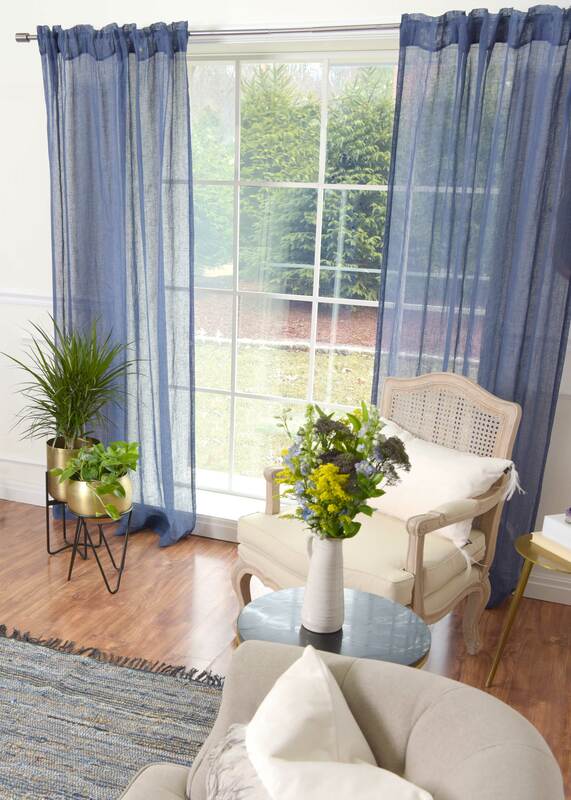 These charming panels of linen gauze will upgrade your windows with soft texture and charm while simultaneously allowing plenty of natural light into your living space. 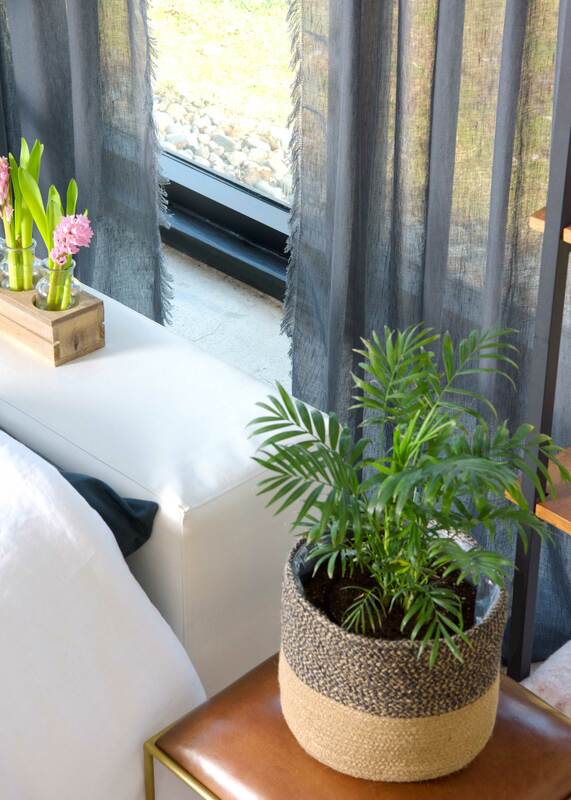 Use them wherever you want to intensify the warm and inviting feel of a room. Sometimes a detail can change an accessory from ordinary to extraordinary. 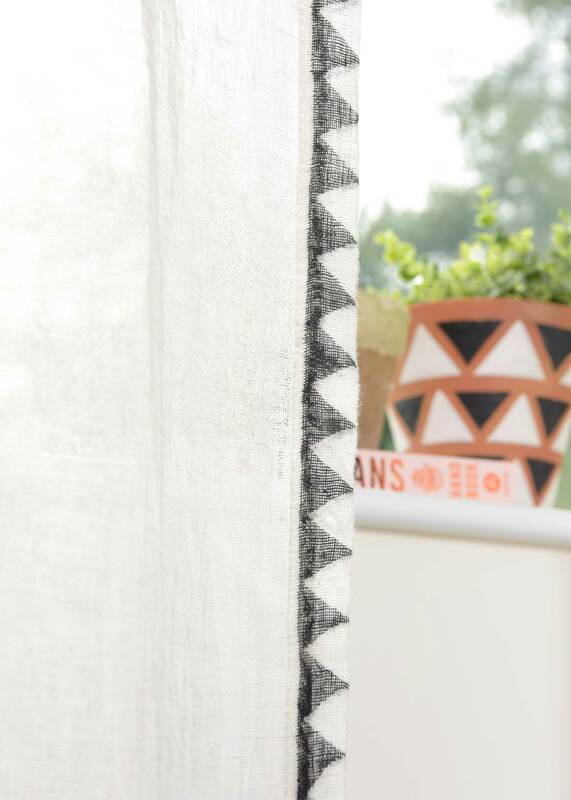 The simple hand-stamped design on the border of our Brittany Linen Voile Back Tab Curtains makes them a striking focal point when you enter the room. 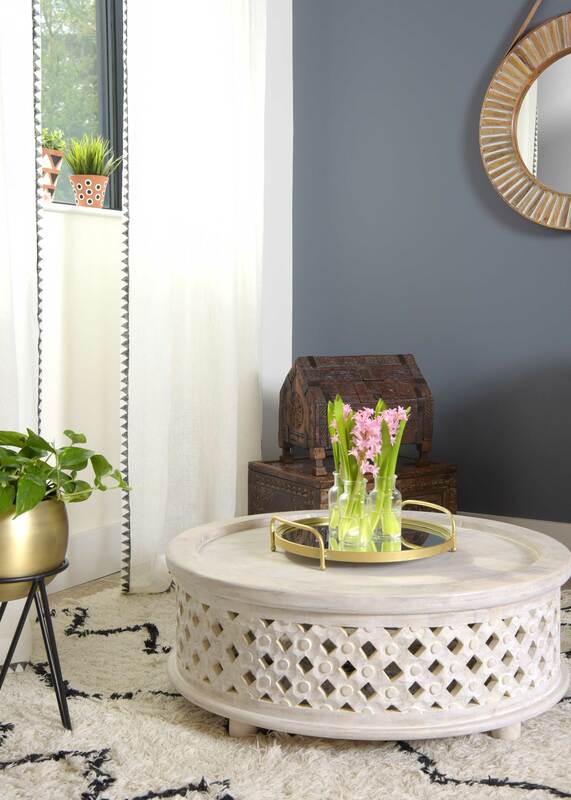 They are available in three patterns – criss cross, stripe, or triangle – to help you select the one that best accents your furniture and accessories. 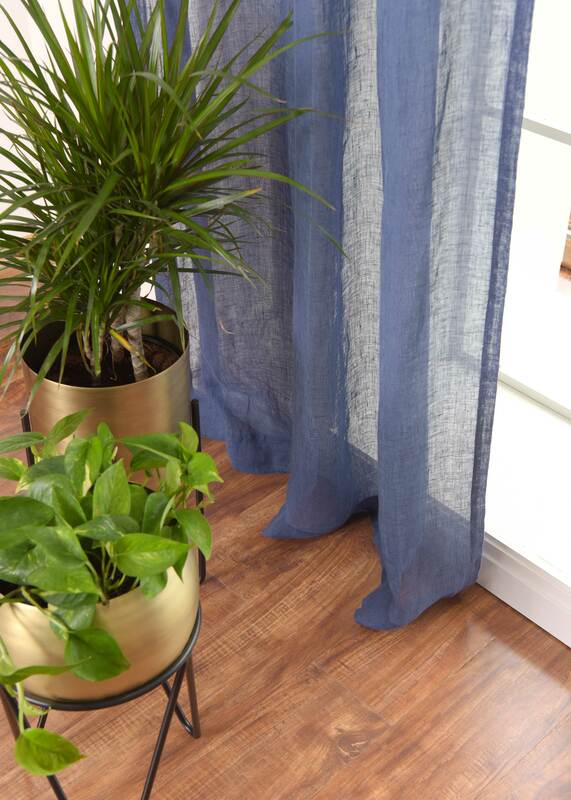 Made from 100% European linen voile, these lightweight panels will keep your space bright and airy. The back tab style creates soft pleats that add a graceful note, particularly in a country or rustic décor. For an even more elegant twist, turn to our tie-top hanging style. 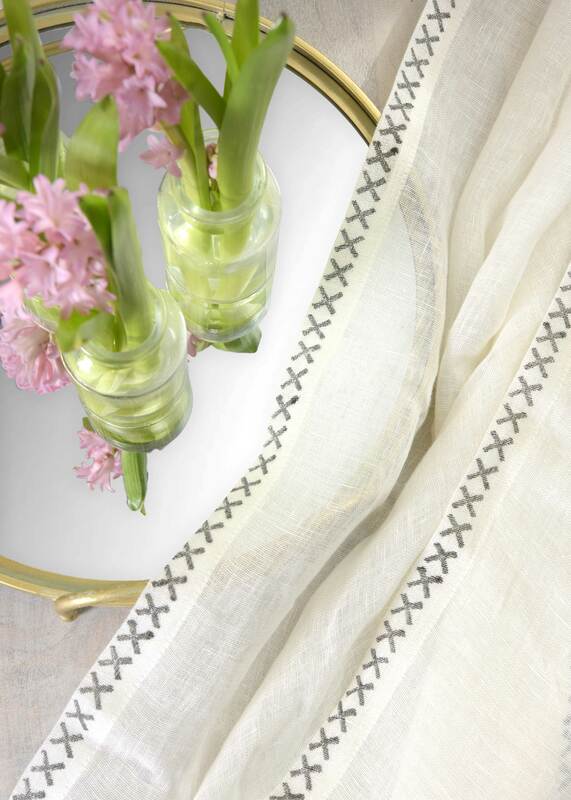 Ethereal is the only word to describe our Sheer Embroidered Linen Gauze Rod Pocket Curtains that give the impression of lifting you up. With their delicate, sheer material, these panels allow the most light into the room. They work best where privacy is not foremost, and you want the brightness of natural light. 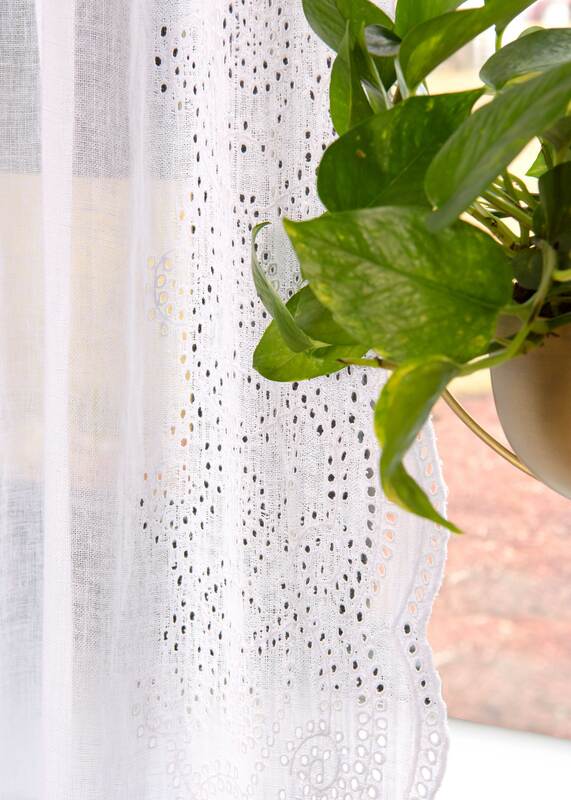 The intricate eyelet lace on the border adds an elegant touch to any decor. 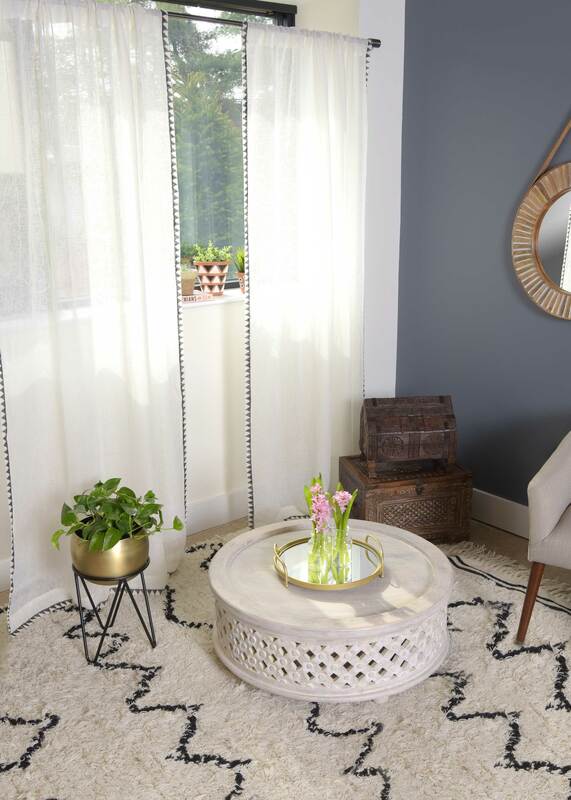 To achieve a stunning visual impact, pair white linen with white walls and a hardwood floor, or use neutral colors as a subtle complement to bolder colors or patterns in the room. The rod pocket style is versatile and complements any interior design. 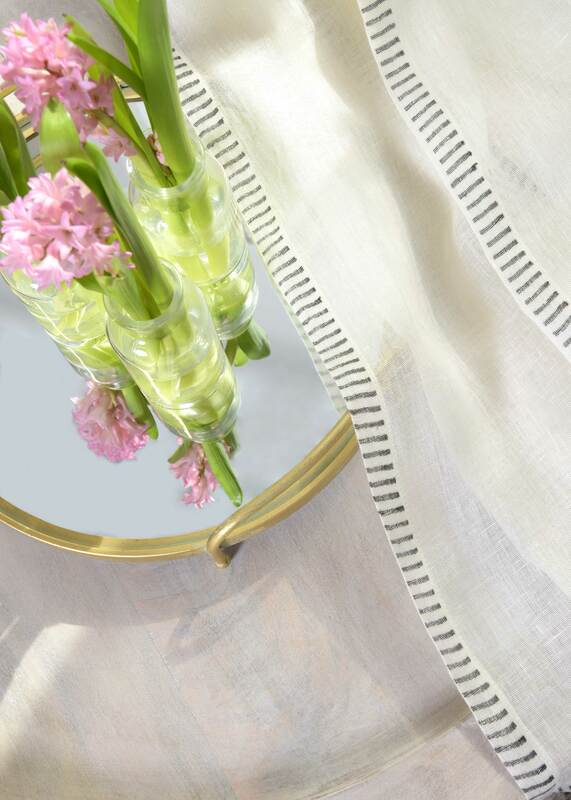 Pair white or neutral-toned linen with dark-colored rods for a look that is both bold and elegant. 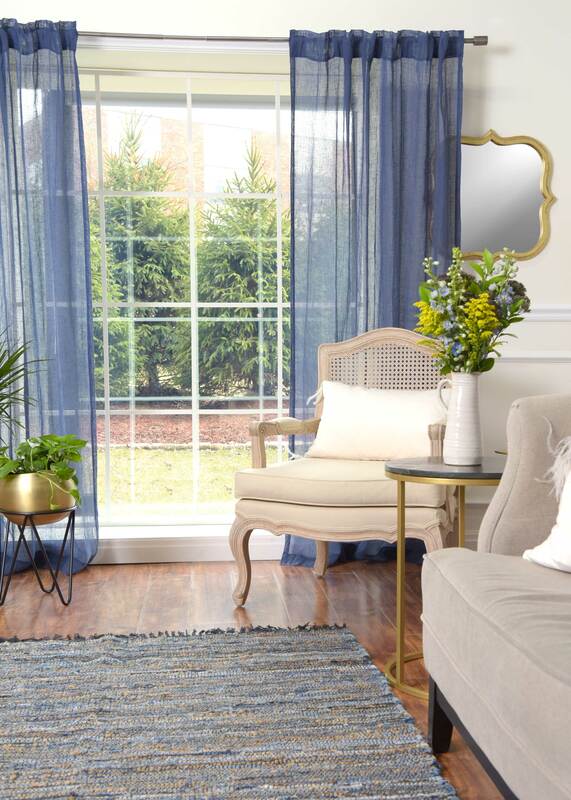 To effortlessly update your windows turn to our Brittany Linen Panels with Back Tab hanging style. 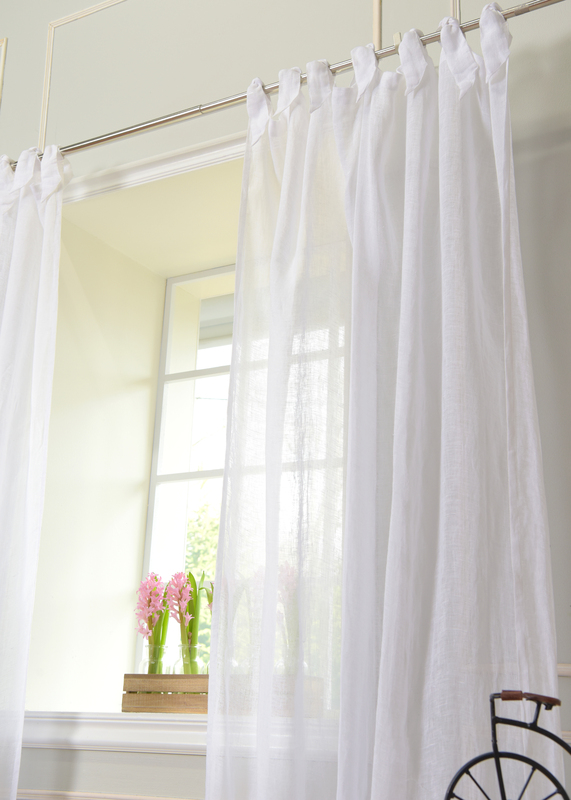 Add instant character and charm with these 100% linen gauze curtains that let the full sunshine in. 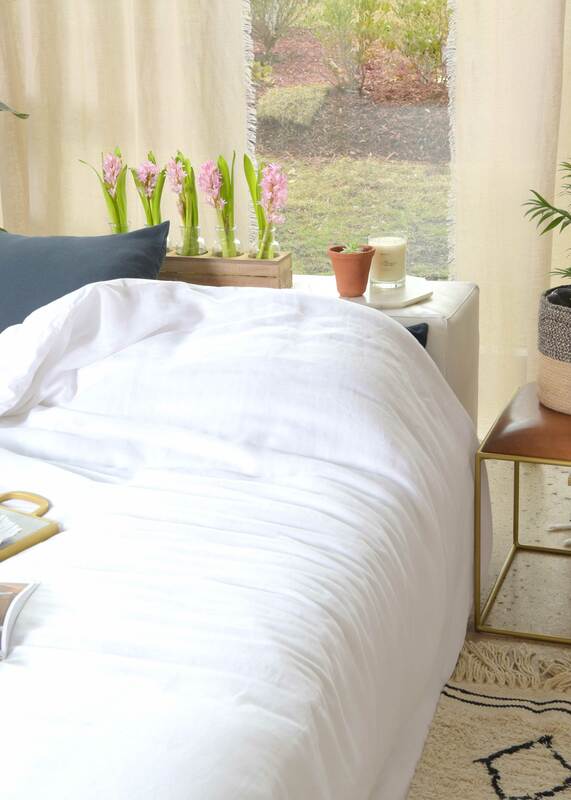 For the same soft-textured look but with added privacy, choose our mid-weight linen which, like the linen gauze, creates a simple but classic look, one that will never go out of style. 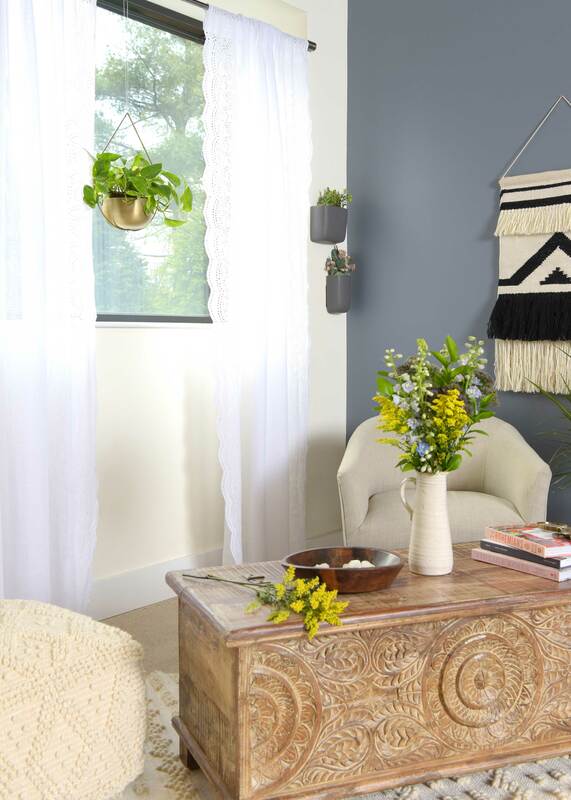 Combine the classic and rustic with our Fringed Linen Curtains. 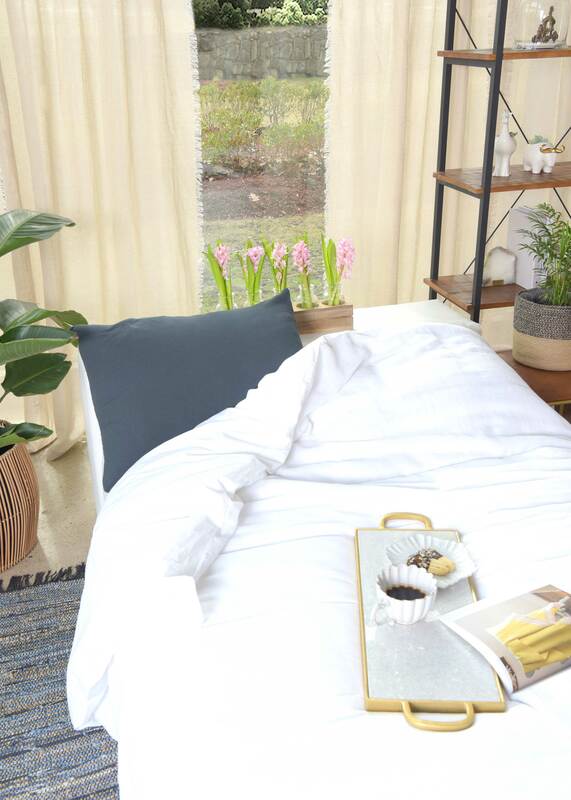 Delicate side fringes and 100% lightweight linen add a soft texture and airy feel to your windows. 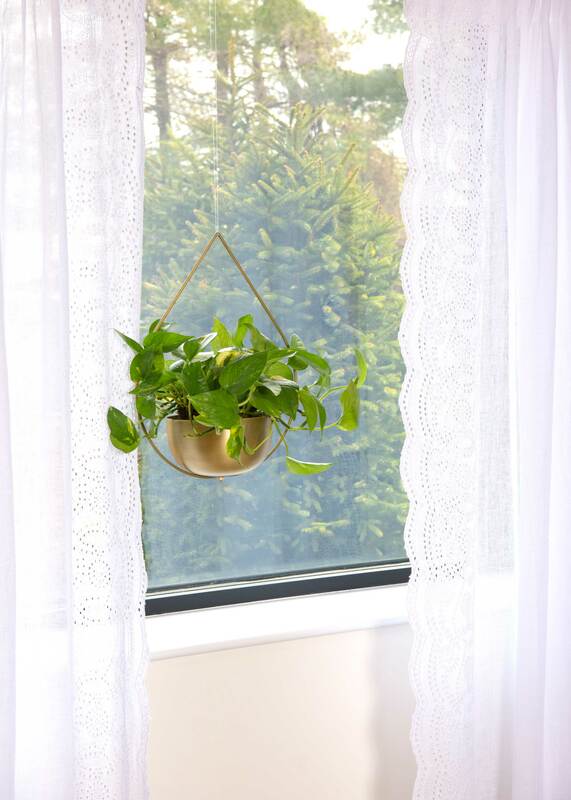 Plus, their simple but versatile design allows them to blend seamlessly with any décor, from traditional or country cottage to contemporary or Boho. 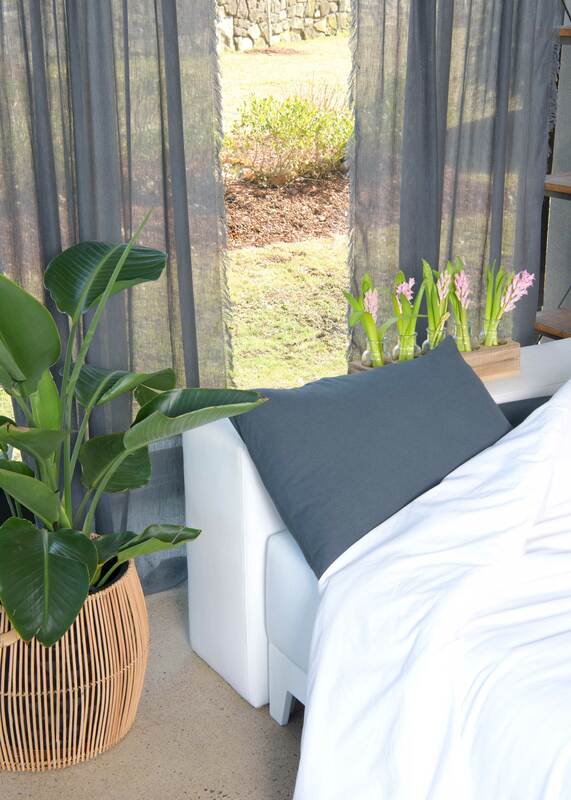 There are so many more linen curtains to choose from to complement your interior style! Go to our shop to see the complete linen collection.